The governing All Progressives Congress APC has stressed that it was not leaving any stone unturned in its bid to win the November 18gubernatorial election in Anambra state. While the party dismissed speculations that it was planning to deploy security and other arsenals to clinch the contest at all costs, it said Anambra was however too important for it to lose. 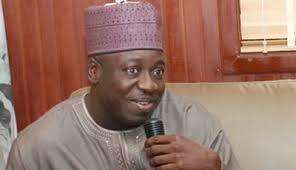 Mallam Bolaji Abdullahi said this on Thursday at a news conference held at the APC national Secretariat in Abuja. He said: “We believe strongly that the speculation of APC deploying soldiers to rig Anambra election is just a mere rumour because there is no evidence to that (effect) and if anybody tells you that the party is planning to deploy the Civil Defence, police, soldiers or whatever to do anything in Anambra, tell the person to provide the evidence”, said Mallam Bolaji Abdullahi, the party’s spokesman. He added the APC will not rig the election, saying such allegations were coming from the incumbent governor, Willie Obiano who he said is jittery. “We are planning to win the election fair and square and if you are following the campaigns going on, you will know the impact that our candidate is making. The incumbent will naturally be jittery and when a candidate is jittery the first thing he will do is to turn around and accuse the ruling party of planning to rig or whatever. “We are not going to rig the election. We have won elections since we came to power as a national party and as a ruling party. We have equally lost elections. We lost the election in Osun and if we have soldiers and police and whatever to mobilize why did we not do it. We have lost a couple of House of Representatives elections and a couple of Senate elections. So, the speculation that we are planning to rig the election does not hold water. Unless they have credible evidence that this is what we are planning to do, but to make this kind of allegation is not what we should dwell on too much”, he stated.